CHECK OUT OUR LISTING BOARD LOCATED AT LEONARD STREET & MESEROLE AVE ! APARTMENTS, LOFTS, HOUSES AND CONDOS POSTED DAILY ON OUR WEBSITE AND ON OUR LISTING BOARD AT LEONARD STREET & MESEROLE AVE ! We are a dynamic and innovative Real Estate Office in Greenpoint, Brooklyn, NY. Our Agents have full market knowledge and strong desire to assist you with finding your new home or apartment for rent. We believe that in today's real estate market it is a matter of high importance to fully understand the relationship of selling price to supply and demand. Market evaluation is an ongoing process and cannot be allowed to stagnate. We understand how important it is to actively watch the market and if it relates to your property, act accordingly. As our clients you need to be informed and well advised of all market changes and possible effects this may have on your property. 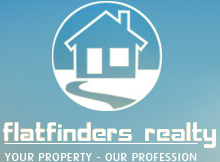 When you make plans to sell your home, get a free market evaluation from Flatfinders Realty Inc. Sharing an Apartment with a Roommate Sharing an apartment with a roommate has many benefits, but it can also be problematic if not managed correctly. Before moving in with a roommate or allowing a roommate to move in with you, there should be an honest discussion about a number of different aspects of living together. Some of the aspects of living together which can cause problems include cleaning of common areas, accounting for food items, having visitors to the apartment and quiet hours. In many cases, these areas will not be a cause for concern unless the roommates have very different opinions on these matters. Therefore, it is important to discuss these issues before they become problems. Bathrooms, kitchens and living rooms are typically common areas in an apartment. If the roommates will share these rooms, they should also share the responsibility for keeping these rooms clean. Roommates also typically share a refrigerator. Some roommates shop together for groceries while others prefer to shop separately and consume only what they purchase. Understanding and agreeing upon these expectations will help to avoid conflict. Visitors to the apartment and quiet hours can also be a cause for concern in a roommate situation. Setting ground rules for when visitors can be present and when the apartment must be relatively quiet is a good idea in these situations. Roommates who have schedules which do not match may not be ideal partners for sharing an apartment.